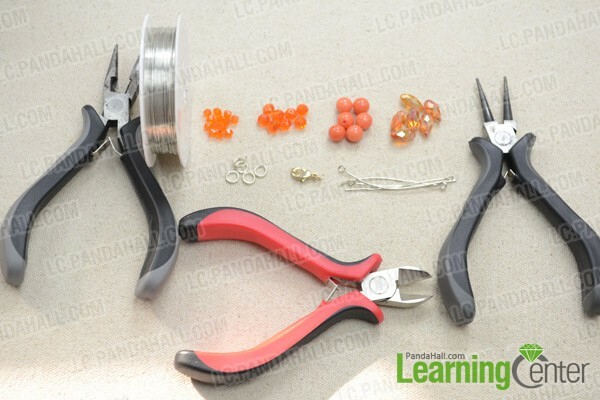 Summary: Want to make a sparkling necklace? 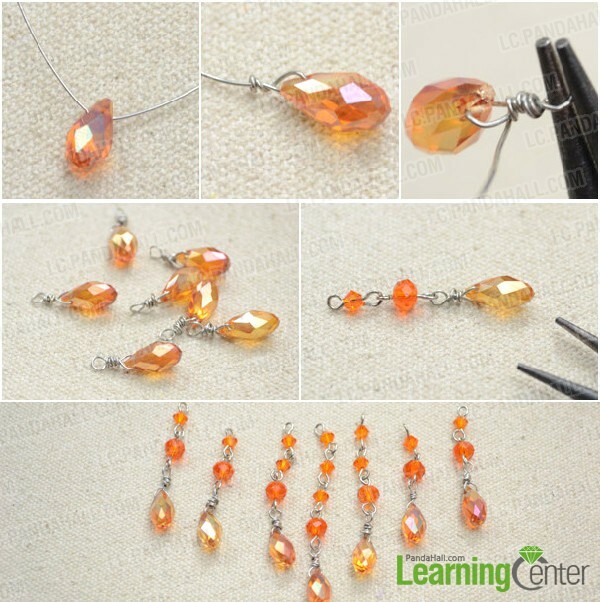 This tutorial will show you how to make a chic fringe choker necklace with orange beads. Orange is my favorite color; easpecially in winter I prefer to wear orange things. For me, it means warmth and tranquility, which can illuminate the cold winter days. 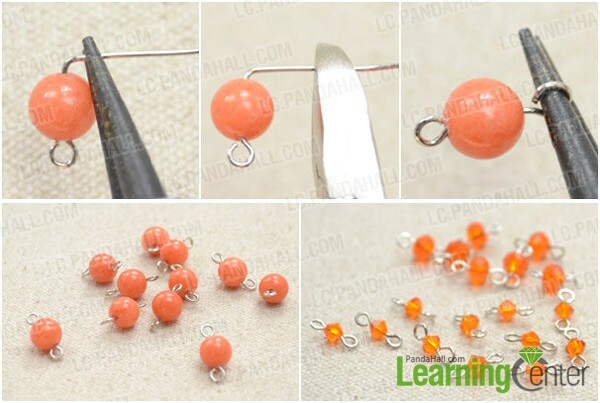 Therefore I made a tutorial about making a fringe chokde rnecklace with orange beads. 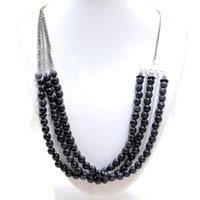 5th, in the same way prepare 11 bicone bead links and 7 abacus bead links. 5th, similarly prepare the other 6 fringes. 4th, attach lobster claw and jump ring to both ends of the necklace. Tada! I have finished the orange necklace. I love the combination of beaded fringe and choker patterns. 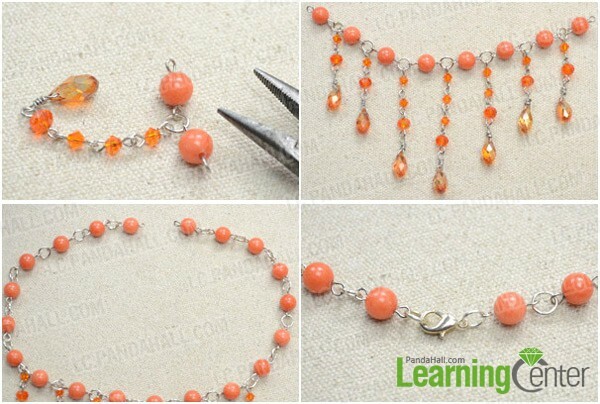 Hope you enjoy this orange beaded necklace.